Panther lets you independently control the left and right channels of stereo sources by giving you EQ, timing, level and panning controls. It is a swiss army knife for all stereo tracks. Yay I’m the first to review Panther! Panther is an absolutely brilliant yet simple plugin. I was able to do in 2 minutes what would of probably taken 3 plugins and 30 minutes of time. Bought it on sale and very happy about it. Thanks Boz! 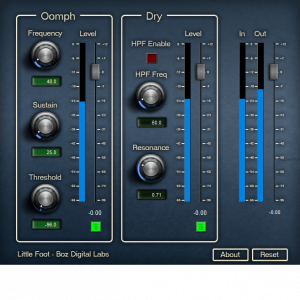 Note: There is no VST3 version of this plugin currently available.